Since 1945, nuclear weapons have been used only as a deterrent and, in terms of military theory, are “unusable” in war. Wars are fought to achieve a political aim which, empirically, has been to impose “peace on own terms”. To achieve this, military defeat of the adversary is necessary, and which, at a perceived threshold, brings the nuclear deterrent into play. Thus the probability of nations armed with nuclear weapons to engage in a decisive full scale war is very low. To achieve their political aims they are likely to exploit a combination of the plethora of options available lower down in the spectrum of conflict. A meeting of the Financial Action Task Force (FATF) that was held in Paris concluded on February 23. During a plenary session of the FATF meet it was decided that Pakistan should be put on the "grey list" again to keep a watch on the rogue nation for not complying with the norms to check financing of terrorism. 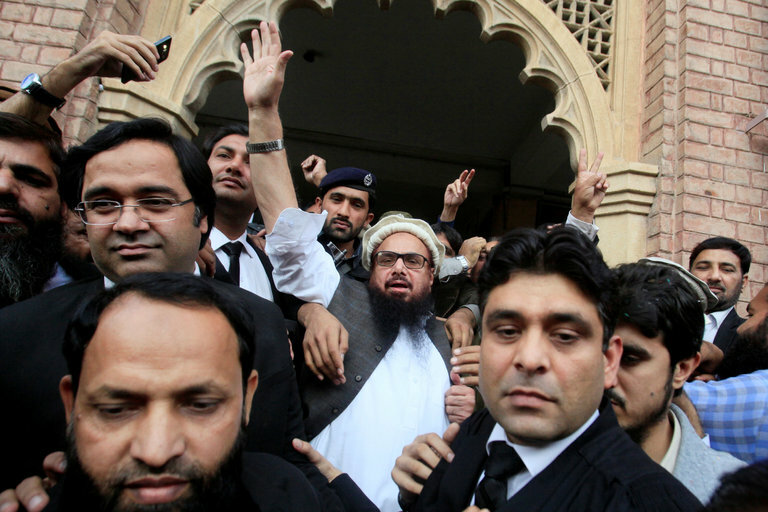 Over the next four months, Pakistan is expected to comply with certain stipulated conditions failing which it will find mention in FATF's formal statement. The neighbouring country was on the watch-list between 2012 and 2015 but only for money laundering. This time, however, Pakistan will be monitored for its compliance with anti-money laundering and Combating Finance of Terrorism regulations. 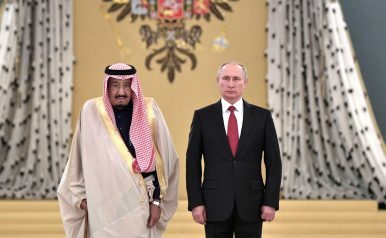 NEW DELHI — During the debate last week over a United States-sponsored measure to throw Pakistan onto a global terrorism-financing watchlist, it appeared that Saudi Arabia and China were going to quickly shut it all down. The Pakistani foreign minister sounded a triumphant note. “Grateful to friends who helped,” Foreign Minister Khawaja M. Asif posted on Twitter.Just two days later, on Friday, Pakistan’s relief turned to alarm at the news that those two close allies had withdrawn their support, making it inevitable that Pakistan would be added in June to the “gray list” of the Financial Action Task Force, a global body created to fight terrorism financing and money laundering. On November 28, 2017, U.S. Commander Gen. John Nicholson delivered a remarkable briefing to the Pentagon press corps on the Trump administration’s new Afghanistan policy. The general was so upbeat about the progress that he witnessed on the battlefield that you could be forgiven for thinking the U.S. was just a few months away from celebrating complete and total victory. Nicholson beamed with confidence that the new war plan was a “game-changer” and a turning point against the Taliban. 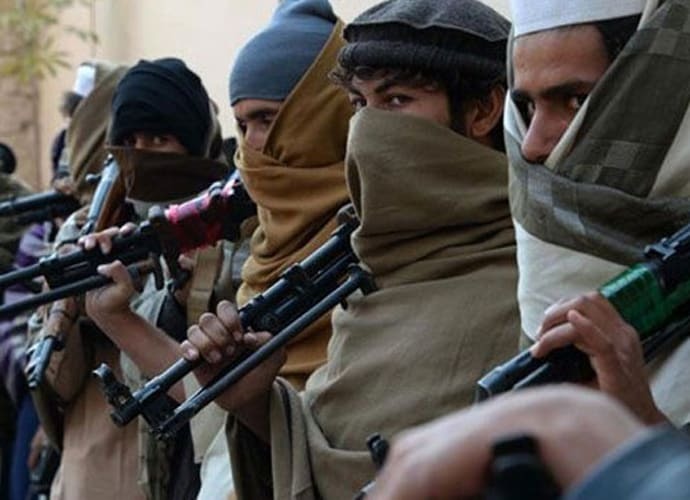 The “momentum is now with Afghan security forces,” he declared, and with just a little more time, the Taliban will soon realize that their only option is reconciliation with the Afghan government. 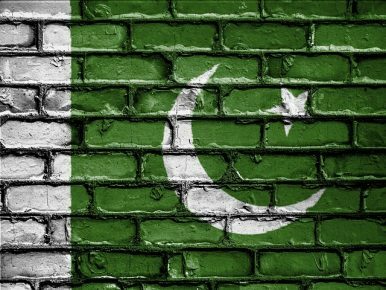 The Financial Action Task Force (FATF), a global money-laundering watchdog, will place Pakistan on its terrorist financing watchlist — the so-called grey list — later this year. The Pakistani Prime Minister’s Advisor on Finance Miftah Ismail has confirmed that Pakistan is going to be officially placed on FATF’s watch list in June, when the forum meets for its next scheduled meeting. China, Turkey, and Saudi Arabia, which during the initial phase of the meeting resisted U.S. pressure to place Pakistan on the list of states that lack effective regulations to combat terrorism financing, withdrew their support during the final phase, allowing the motion to go through successfully. 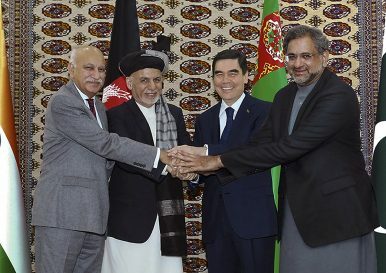 On Friday, representatives from Turkmenistan, Afghanistan, Pakistan, and India gathered in Herat to mark the start of work on the Afghan portion of the TAPI pipeline. It was another large celebration of, in the best case, incremental progress. On Twitter, Afghan President Ashraf Ghani said of Herat and the project, “A new chapter of economic growth and regional connectivity starts right here in the economic and cultural hub of #Afghanistan.” Ghani was joined by Turkmen President Gurbanguly Berdimuhamedov, Pakistani Prime Minister Shahid Khaqan Abbasi, and Indian Minister of State for External Affairs M.J. Akbar. Gen. John Nicholson, commander of U.S. Forces Afghanistan and NATO’s Resolute Support Mission, also attended the ceremony. Bhutan and China will hold the 25th round of their boundary talks in Thimphu next month. The teams will be led by Bhutanese Foreign Minister Lyonpo Damcho Dorji and Chinese Vice Foreign Minister Kong Xuanyou. 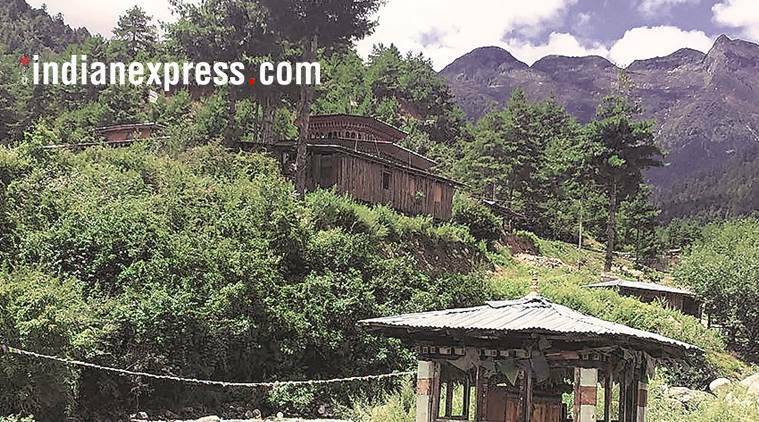 The boundary talks were cancelled last year in the wake of the Doklam crisis, when Indian and Chinese troops faced off in the remote Himalayan plateau for 73 days in territory claimed by both Bhutan and China. The standoff ended in August with troops from both sides withdrawing to their previous positions and China removing road-building equipment. In the days and months leading up to the 2014 presidential election in Afghanistan, uncertainty abounded about the future of Afghanistan’s fledgling democracy and the gains made in different spheres with the support of our international partners. 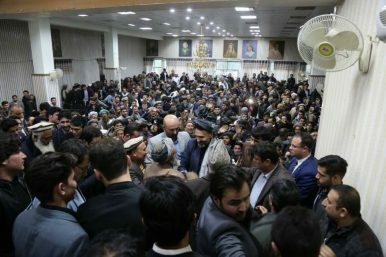 Despite the national feeling of doom and gloom, the people of Afghanistan defied security threats, turned up in great numbers, and voted in the elections for their candidates of choice. It was a spectacular manifestation of the popular desire among the Afghan people to exercise their democratic rights to vote and choose a new leader for the country. Will Trump Really Start a Broad Trade War? 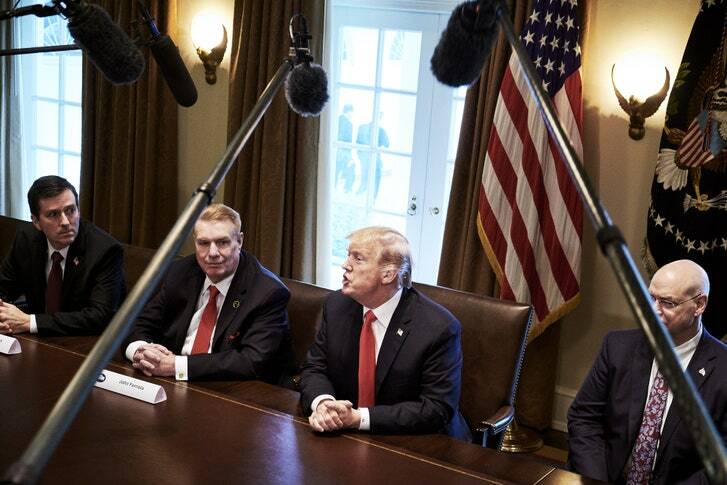 When Donald Trump’s trade advisers complain about China dumping certain products, such as steel and aluminum, in other countries at below-market prices, they have a point. In the past fifteen years, Chinese production of steel and aluminum has skyrocketed, creating excess capacity in world markets, and Chinese firms have been widely accused of pricing below cost to clear their inventory. U.S. producers have struggled to compete with cheap imports. Many plants have closed down, and thousands of workers have lost their jobs. A few weeks ago, an Italian magazine asked me to illustrate graphically how I see Italy from abroad. I am incompetent at drawing, but an image instantly popped in my mind: the Costa Concordiashipwreck in the Mediterranean Sea in 2012. Italy, too, is a beautiful ship slowly sinking because of the ineptitude of its captain — or captains, as it were. Surprisingly, this is not the view most Italians have of their own country. Most recognize the Italian ship is taking water on board, and that in theory it could sink by defaulting on its public debt. But Italians have faith that the Stellone Italiano (the Italian lucky star) will save them at the last minute, just as it has historically bailed out the Italian soccer team in World Cup matches. Amphibious operations are important components of current PLA doctrinal writings and exercises. With no recent experience in amphibious warfare, PLA military science examines foreign and historical operations for guiding principles. PLA histories highlight amphibious operations against Xiamen, Kinmen and Hainan in 1949 and 1950, the last of which the PLA views as its first large-scale sea crossing experience. These nascent amphibious operations provided amphibious warfare experience and lessons learned for the intended invasion of Taiwan, as well as the PLA’s first joint operation to seize the Yijiangshan Islands in 1954-55. On Sunday, the Chinese Communist Party Central Committee recommended ending the two-term limit on the presidency, paving the way for President Xi Jinping to stay in office indefinitely. This surely marks the end of an era — and not just for China, but also for the West. For the West, the era in question started with the end of the Cold War, as old enemies became “emerging markets.” China had already started opening its markets to foreign investment since 1978 under Deng Xiaoping’s reforms. But only in the 1990s did the private sector take off there, and Western firms promptly rushed in to profit from the breakneck speed of Chinese economic growth. The announcement on Sunday that China will amend its state constitution to remove the two-term limit for the presidency has seemingly cleared the way for just that. Under the old constitutional provisions, Xi would have been required to step aside as president in early 2023, when his second five-year term would come to an end. Xi would not necessarily have had to cede power, however. There are no terms limits for one of the other key positions he occupies, that of secretary of the communist party, the office in which true power resides in China. In that respect, the position of president (head of state) is just being bought into line with that of the ruling party. As recently as the early 1990s, different figures held the office of president and party secretary. IN INTRODUCING its new National Security Strategy, President Trump’s White House identified China as a “revisionist” power, a “rival” and “competitor.” Throughout its sixty-eight pages, the document catalogues Beijing’s hostile behavior and suggests that Chinese influence in America and elsewhere is “malign.” It is right to do so. Fortunately for America and contrary to Washington conventional wisdom, the mighty-looking Chinese state is, in reality, particularly vulnerable at this moment. For one thing, its slowing economy is on the verge of a debt crisis. At the same time, Beijing, largely because of the expansive vision of its ruler, Xi Jinping, is overstretched. China’s provocative acts are alienating other states, strengthening a growing coalition against Beijing. Xi’s relentless pursuit of absolute control at home has weakened Chinese institutions. The Chinese people are restless. An important piece of news went practically unnoticed in January 2018: according to Nature, China surpassed the United States in the number of articles published on Elsevier’s Scopus, one of the world’s top scientific databases. Although on average, Chinese publications are not as influential as North American and European studies, they do help set trends for many disciplines, and might well push the Western world into a peer-to-peer dialogue that would not be happening otherwise. 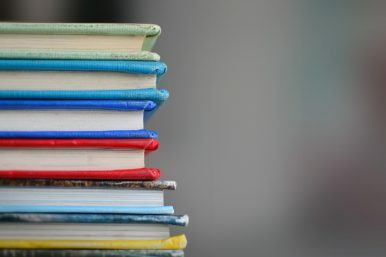 As recent figures show, there has been a sharp increase of 37 percent in the number of citations of China-based authors in academic articles over the last five years. That serves as a telling proxy indicator for who is now massively investing in knowledge and will, in all probability, harvest the power of that knowledge in the future. 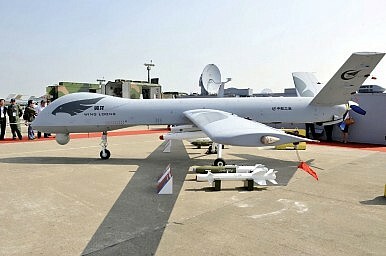 What’s Behind Indonesia’s China Drone Buy? On February 25, reports surfaced citing sources within Indonesia’s military as confirming that the Southeast Asian state had agreed to acquire four drones from China. Though the reports are merely a reiteration of what Indonesian defense officials had said last year, they nonetheless reinforce Jakarta’s efforts to boost its capabilities in this respect and the inroads that Chinese drones are making in some key markets. As I have been noting in these pages, Indonesian defense officials have been signaling the need to boost the country’s drone capabilities, recognizing that the country does not have nearly enough vessels and aircraft to fully monitor its vast airspace and coastline. So it is no surprise that we have seen Jakarta aim to make purchases in this regard from countries such as the United States (See: “New Indonesia Drones Spotlight US-ASEAN Maritime Security Initiative”). The Trump administration’s Nuclear Posture Review (NPR) was a break from its predecessors in many ways. 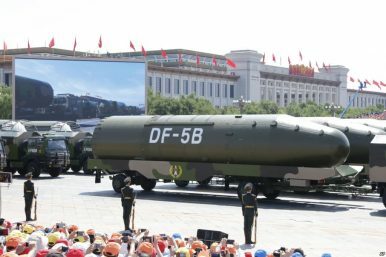 It envisions an expanded role of nuclear weapons in U.S. military doctrine, the development of low-yield weapons — specifically a low-yield SLBM — and the removal of 2010 NPR language that called for maintaining strategic stability with China. Unsurprisingly, it has elicited vociferous responses from Chinese state media, government officials and netizens alike. There have already been sound analyses on the issue of low-yield SLBMs and the Trump administration’s justifications for it from both American and Russian perspectives. On the night of February 7, a Kurdish-held oil field in northeastern Syria came under sudden attack by forces allied with the regime of Syrian President Bashar al-Assad. 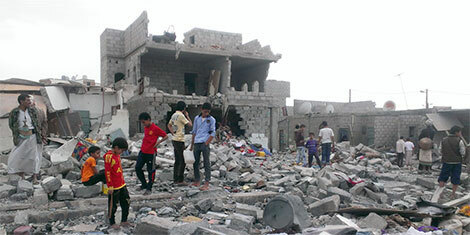 Heavy U.S. air strikes and artillery fire repelled the assault, with initial reports suggesting that at least 100 pro-government fighters were killed in the span of three hours. The next week, information began to emerge that many of those killed were Russian mercenaries contracted to the Wagner Group, a private military company with close ties to the Kremlin. A pair of Russian-language audio recordings described 200 dead Wagner fighters; other sources gave casualty figures as high as 600. Although these figures sounded absurd at first, with other Russian sources estimating only 20 to 25 dead, corroborating evidence increasingly backed a casualty tally in the hundreds. Former Wagner fighters with links to those killed reported between 80 and 100 dead and 200 injured, while Russian hospitals treated hundreds of wounded. A Chechen-language recording from Syria claimed that 170 of 200 Wagner fighters involved in the attack were dead. Three hundred casualties now appears not only a plausible but a probable figure. While Google’s rise has helped its parent company Alphabet break all revenue records, Google’s CEO Sundar Pichai neither receives any financial information about Alphabet’s “Other Bets” nor has any decision-making power over them. In newly-released government documents to the US Security and Exchange Commission (SEC) and reported by CNBC late Monday, Alphabet has published details about the structure of its overall businesses. “Pichai also does not have authority over Alphabet’s overall resource allocation to Google,” the report said, quoting from the Alphabet’s letter to SEC. Bottom Line: A spy’s tradecraft must constantly evolve because of the rapid changes of the digital age – especially the tools and skills required to maintain a legend, or cover identity. 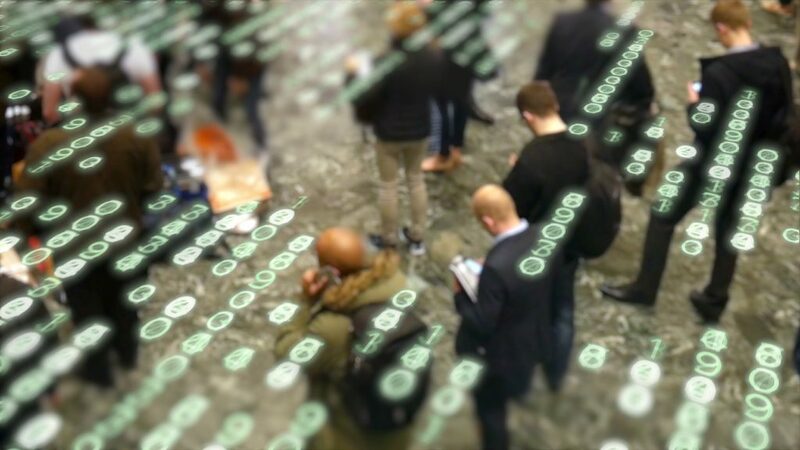 Virtual recordkeeping, modern surveillance technology and the vast amounts of a person’s background accessible on open-source platforms such as social media are affecting intelligence operatives’ ability to operate covertly overseas. The private sector has for years lured cyber talent away from the government with promises of higher compensation. To counter this, leaders within the military and intelligence community are implementing a slew of programs that they believe will boost retention. The Army is closely monitoring retention rates for its cyber workforce, including officers, enlisted soldiers and civilians, said Todd Boudreau, deputy commandant of the U.S. Army Cyber School at the Cyber Center of Excellence in Fort Gordon, Georgia. In the first half of the 20th century, the German armies foundered by fighting on two fronts at the same time. Brussels is now in a four front war that threatens the EU's very existence. Folklore, and a good deal of the historical evidence, has it that the bane of the German armies in the first half of the 20th century was the desperate, and ultimately insurmountable, problem of fighting their wars on two fronts at the same time. The Brussels elite seems oblivious to the present, never mind the past. But even the myopic Eurocrats must be starting to panic at the emerging political geography of contemporary Europe.